Barn workers are paid to keep stalls clean and horses fed and turned out. Yet without much fanfare, boarding barn workers often do much more. Even so, owners sometimes ignore their own role in helping barn staff help their horses. Suzette Waldron, one of five staffers who care for 25 horses at the Parrish Equestrian Center in Florida, believes that looking out for a horse’s best interest is a cooperative job. 1. Your horse needs you. Owners whose horses are boarded on a full care plan often pay barn staff to perform a range of tasks from bathing and grooming to fetching a horse from his pasture before a ride. As a result, barn workers sometimes spend more time with a a horse than its owner does. That’s why Waldron says it is critical for owners to spend as much time with their equines as possible. Generally, barn workers take their jobs seriously, and most have at least a working knowledge of horses and their care. As a result, owners should count on barn staff to make day-to-day decisions about certain situations such as foul weather turn outs or the use of routine items such as fly spray. 3. Communicate through the proper channels. 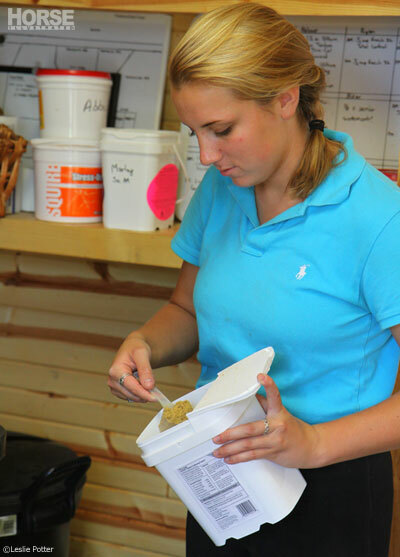 Owners frequently have special instructions about feeding, the use of supplements, and veterinary and farrier care. Those instructions should be discussed with the barn owners who will pass owners’ directives down to the barn staff. Going through the proper channels is crucial to ensure that the message is heard by all, Waldron says. She also recommends putting special instructions in writing. “The more back-up information we have, the better it is for the horses,” Waldron says. 4. Replenish materials when we ask. Even under full care plans, owners may be expected to provide feed supplements, fly spray and other consumable items. Barn staffers often let owners know when those items should be replenished. Horses miss out when their owners don’t replace consumables in a timely manner. “It’s even better if they replenish those items before we have to ask for them, ” Waldron says. 5. Listen to what we say. 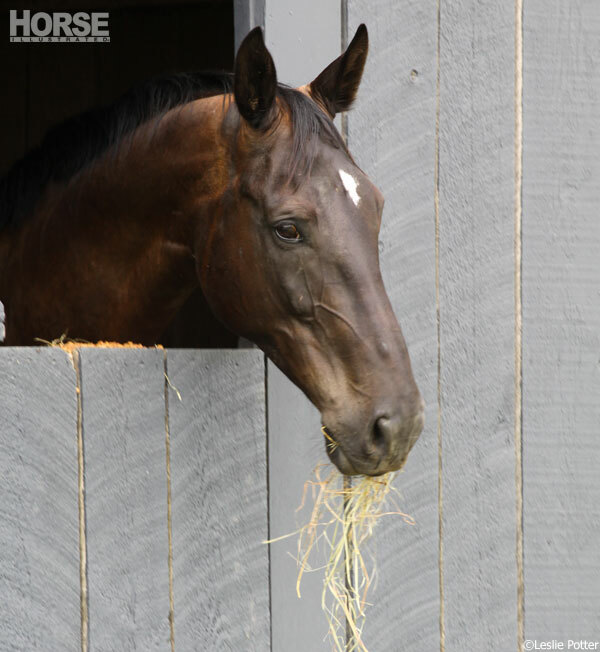 Barn workers are often the first ones to notice changes in a horse’s movement or routine behavior. So it’s important that owners listen to barn workers when they notice small changes in a horse acts or moves. Barn workers may suggest changing the location of a horse’s paddock or exchanging one pasture buddy for another. Waldron says the changes are always made to benefit the horse, and owners should should take the advice of barn staff in matters such as these. “Owners should always ask us if they have questions,” Waldron says. 7. Don’t assume we are not knowledgeable. According to Waldron, some owners assume that barn workers have little or no horse care knowledge. Generally, that is far from the case, she says. 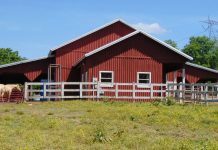 Instead owners should keep in mind that most barn workers are experienced horse handlers, who can assist veterinarians, farriers and equine dentists when owners are not present. “People don’t take these jobs [if] they hate horses or don’t know horses,” Waldron says. 8. Don’t jump to judgment. Boarding barns are sometimes rife with owner gossip, and frequently the tales revolve around horse care. Waldron recommends that owners judge their horse’s care objectively. “Judge your horse’s care by the way the horse looks and acts, and not what you hear from others, ” Waldron says. Whether they’re fitting new equipment or trying out a new grooming tool, owners need an extra pair of hands from time to time. Barn workers are generally happy to help whenever owners ask, Waldron says. “Basically we’re here to take care of the horses, but we are here to take care of owners, too,” Waldron says. Most barn staffers do their jobs because they love horses. Still, acknowledgment from owners goes a long way. Liked this article? Here’s more on getting the most out of boarding your horse. Previous articleMy Horse Won’t Go Straight! Sounds like great advice but I’m so glad I get to live with my horses. It is also a good idea to get to know the barn staff. Honestly, I will be more likely to go out of my way to help you, and help with your horse than if you just brush me off as the person who picks up your horses poop. Is this the real world you write of? The only person who has taken care and looked out for my horse is ME! My horse can be sick or colicing, and NO ONE notices. Bless you for speaking out…the horses cannot. Your horse knows your barn workers better than he/she know their owner. Your barn worker feels real affection for your horse and puts massive effort into your horses health and comfort. When you don’t come out all winter because you are cold or busy, your horse looks to your barn worker for their every need including affection. Please remember that when you horse is difficult to catch or won’t behave for you, he may not recognize you. They see us every day throughout the day – not just a hour here and there. I am always stunned by the owner that assumes the horse feels about them like they feel about beloved Aunt Sally they see once a year at the holidays. Horses do not feel the same way humans do. They see us as their humans by and large. You are just the person that shows up with carrots twice a week. Or works the snot out of them once a month and leaves them hot and dirty in the stall for the barn worker to deal with. Lastly, sometimes things go wrong. When you are not here every day, you do not know that the tractor has been in the shop for 3 weeks, the broom snapped a hour before you got here and that your horse JUST drained their water bucket. We do the best we can with what we have, If something is wrong, it probably won’t be “wrong” next time you come out. I always respect the barn workers maybe because I did self care for so long and know how hard the job actually is. I always remember them at Christmas and on often bring a special treat to show my appreciation. All you say is reasonable and right. I was a stable hand in my youth. It’s a hard,thankless job. Several mornings a week I work at my barn to help pay for my board. And I will be the first to tell you what a HARD job it is! Me & my fellow stablehands freeze in the winter, sweat in the summer, and our muscles get incredibly sore after every work day. But I love the horses so much it makes it worthwhile, and we also have some fantastic boarders at our barn who go that extra mile to help us with their horse’s care and let us know we our appreciated. That is so, SO kind of them, because it shows that those owners actually CARE what happens to their horse and those who care for it. I know of many horses who have a closer relationship with me then with their owners. Many of the boarders just come out, ride the horse, and let us do the rest. “That’s what they are payed for!” They say. Yes, that’s true, but your horse NEEDS YOU! If your one of those boarders who only rides and expects stablehands to do the rest, stop and think for a moment. Don’t you want to have a good relationship with your horse? Then hang out with it! Don’t just let us take care of everything but riding. Your horse WILL forget you. I know of one situation where call the owner did was ride once a week. We groomed, fed, turned out, saddled, did everything for this horse. Eventually the horse forgot it’s owner and stopped paying to her. The owner ended up selling the horse to the stablehand it bonded with. Don’t let this happen to you! Read the FANTASTIC article above again. Think. Thanks for posting this, Horsechannel.com! I have worked as a barn worker before so know what a hard job it can be. It makes me that much more thankful for my fantastic barn owner and all the hard works she puts in as she does all the chores/barn work on her own. I do rely on her alot when it comes to making decisions about my horse and his care. And as for being trustworthy, I can’t think of anyone I trust more with my horses. I know that I never have to worry on the days I can’t make it to the barn as I know he’ll be well loved and cared for and I know if anything I need to know about comes up I will get a text or phone call. ALWAYS tip your barn staff at Christmas! You need to let them know that they ARE appreciated. After all, they are the ones out there at 5am in freezing weather taking care of YOUR horse. Far too many people don’t appreciate all that they do for us, and a little appreciation goes a long way for them. Respect them because they are the ones doing the dirty work.